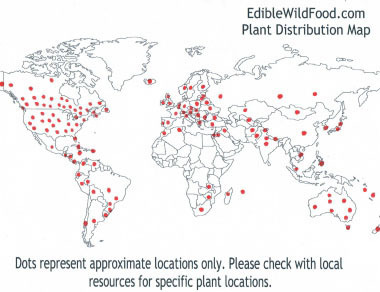 Dandelions are often considered a pesky weed in Canada and the U.S. yet European and Asian nations have greatly benefited for years from the incredible nutritional value that this weed contains. 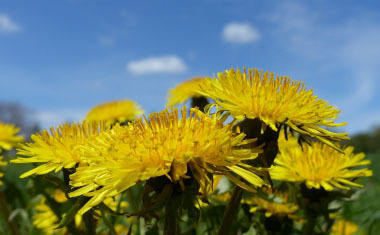 Dandelions are a rich source of vitamins, minerals and it even has antioxidants. For example, one cup of raw dandelion greens contains 112% of your daily required intake of vitamin A and 535% of vitamin K. The common yellow dandelion has a long list of powerful healing abilities as well as other health benefits. Contrary to popular belief, the dandelion is a beneficial plant to have. It’s a great companion plant for gardening because it’s long taproot brings up nutrients to the shallow-rooting plants in the garden adding minerals and nitrogen to the soil. Dandelions attract pollinating insects which helps fruits to ripen. Distinguishing Features: The dandelion is a readily identifiable, hardy, perennial weed. It has a rosette base producing several flowering stems and multiple leaves. Flowers: The common dandelion flowerhead has about 150 to 200 yellow ray florets and no disk florets; the ray florets spread outward from the center. At the base of the flowerhead, there are inner and outer bracts that are green. The inner bracts are linear or linear-lanceolate and appressed together to form a cylindrical tube around the ovaries of the flowerhead. The outer bracts are linear-lanceolate and sharply curve downward. Flowers are produced sporadically from early spring to late autumn. Fields of Nutrition has medicinal benefits and vitamin/mineral content of Dandelion. 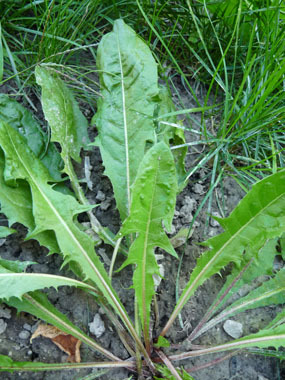 Leaves: Dandelions have a toothy, deeply-notched, basal leaves that are hairless. 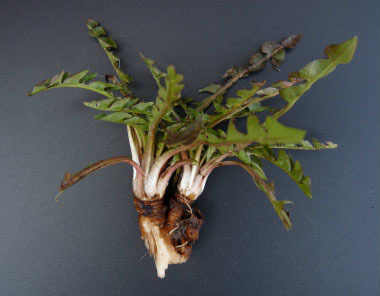 They are 5 to 25 cm or longer and they form a rosette above the central taproot. Height: Depending on several conditions, dandelions can grow as high as 25-30 cm. 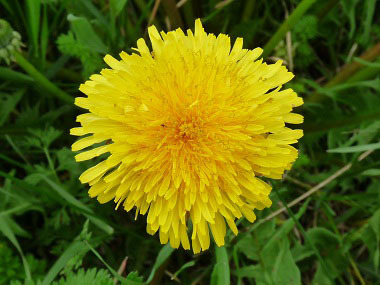 Habitat: Dandelions are the most common broadleaf weed in most lawns. It is found in virtually every kind of habitat, from openings in deep woods to cultivated fields, from rocky hillsides to fertile gardens and lawns. Similar plants: Red Seeded Dandelion, Agoseris.